Home / Stock Picks / Stocks to Sell / Can General Electric’s New CEO Save GE Stock? Can General Electric’s New CEO Save GE Stock? When Larry Culp became CEO of General Electric (NYSE:GE) on Oct. 1, many investors, including me, became hopeful about GE and GE stock. The former CEO of Danaher (NYSE:DHR), Culp seemed poised to rebuild the company’s corporate culture and restore its standing as a technology leader. But did Culp arrive too late to rescue GE stock? Since Culp’s appointment, GE stock has plunged another 38%. The problems at GE Power have only grown worse. Culp has been forced to carry out emergency surgery, bringing back former GE executive John Rice to run the newly-created GE Gas Power business, and taking a $22 billion impairment charge on its Power unit. Before Culp can make GE a tech leader, he must prevent it from failing. Because of the conglomerate’s huge debt and the fact that it’s sold off some of its best assets, some big investors no longer think that’s possible. The large magnitude of GE’s debt is glaringly obvious. JPMorgan analyst Stephen Tusa, a ear on General Electric stock, estimates that the company has “$100 billion in liabilities and zero enterprise free cash flow,” Barron’s reported on Nov. 9. The company’s 10-Q report, also available on its Web site, shows its debt is being reviewed for downgrade by two major ratings agencies. The charges Culp is taking against the Power unit, while necessary, are making the debt situation precarious. The debt is why the dividend was pared to just 1 cent per share – it had been 24 cents a year earlier – and explains why the smart money is shorting things like GE’s 5% bonds. Meanwhile, GE’s pension plan will be underfunded by $17 billion, after taxes by the end of the year, Barron’s quotes UBS analyst Steven Winoker as saying. To stave off disaster, Culp has decided to sell part of GE’s stake in Baker Hughes, a GE Company (NYSE:BHGE), in an effort to raise $4 billion. Unfortunately oil prices have cratered, and Baker Hughes has lost about one-third of its value, plunging from $33.83 per share September 24 to $22.55 today. Culp is running out of assets to sell. The value of GE stock lies with its Aviation unit, which earned $1.66 billion on $7.48 billion of revenue in Q3, and its Healthcare division, which earned $861 million on $4.71 billion in revenue in Q3. Combined, that’s $2.5 billion of profit from $11.89 billion of sales. The rest of the company’s industrial operations lost money on about $15.5 billion of revenue. GE Power lost $631 million. The bullish case on GE stock is that Power will break even over the next few quarters, and that the impairment charge was a one-time event. If Power breaks even, GE’s organic earnings would be $12 billion per year. But even in that case, the cost of servicing its debt and other obligations will rise rapidly. It’s increasingly hard to see how Culp can square the circle. Even if GE Power can break even, and even if Baker Hughes reaches its old valuation, GE still has an enormous amount of debt, and it doesn’t have the funds to carry out the kinds of acquisitions Culp used to build Danaher. Maybe Culp can pull a rabbit out of his hat. Maybe Culp can save GE stock. But given rising interest rates and GE’s debt load, it’s hard to see how he can succeed. I would dearly love to be wrong about General Electric stock. 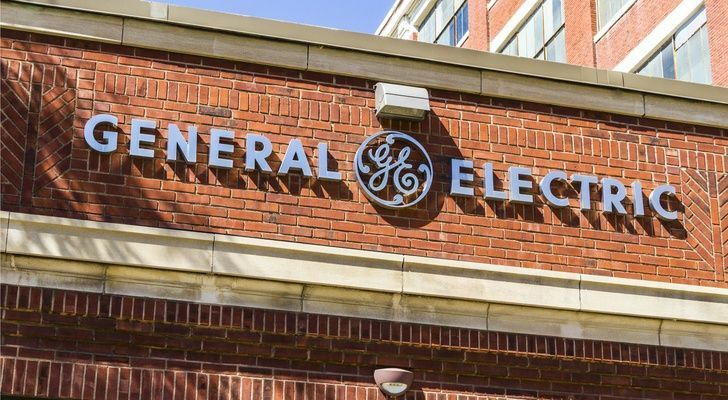 Article printed from InvestorPlace Media, https://investorplace.com/2018/12/can-general-electrics-new-ceo-save-ge-stock/.